How Far is Jains La Verde Mare A? Jains La Verde Mare A in Perungudi Chennai is designed with an elegant look and Jains La Verde Mare A apartments is one of the luxurious apartment in perungudi Chennai. Jains La Verde Mare A is one of the ongoing projects of jain housing. 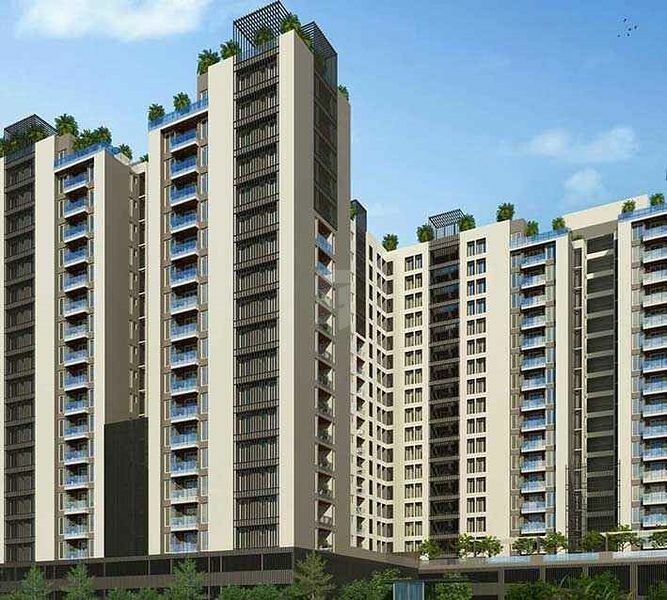 Jains La Verde Mare A, Perungudi Chennai apartments consists of 1BHK,2BHK,2.5BHK,3BHK. Living and dining 3' x 3' vitrified tiles. Bedrooms, kitchen & other areas 2' x 2' vitrified tiles. Balconies & utility area - terracotta tiles or anti-skid ceramic tiles. Servant room & servant toilet - anti-skid ceramic tiles. Toilet - vitrified tiles for full height from the floor level. Utility areas - ceramic tiles for up to 4' 6" feet height from floor level. Black granite for work top. Single bowl S.S sinks without drain board FRANKIE / NIRALI / FABER make. One loft of RCC will be provided. Size 3'6" x 7'0" with teakwood frame. 40mm thick solid flush shutter with teak wood lipping all around. Horizontal teak texture veneer of 1mm on both sides of shutter with S.S beading embedded in it. Melamine polishes on both sides and designer hardware of reputed make shall be done. Bedroom doors will be made of teak wood frame with veneered skin shutters and designer hardware of reputed make. UPVC Windows with sliding shutters for all windows & UPVC Ventilators will be provided. Grill fixing for balconies facing ROAD, O.S.R, and LANDSCAPED AREA will not be entertained. All internal walls will be coated with smooth putty and finished with ICI / Asian plastic emulsion paint Royal / velvet finish. All external walls will be finished with ICI/Asian/Equivalent paint. M.S. grills aesthetically designed & fixed to wall will be finished with enamel paint. Three-phase supply with concealed wiring will be provided. However the services connection shall be from TNEB based on the rules and regulations at the time of energizing the complex. Separate meter will be provided for each flat, and the main board will be located outside the flat at the suitable place suggested by architects. Separate meter will be provided for common services in the main board. All automation switches will be of ELOKA / PHILIPS / LEGRAND and the other switches & power plugs of ANCHOR ROMA / MK / KUNDAN / GM or equivalent make. The living room shall have switches with automation and remote ON & OFF controls. Bedroom, Kitchen and dining areas shall have automated switches. A/C provision with electrification will be provided in all bedrooms. 15A plug points will be provided for refrigerator, washing machine & geyser in toilets. Exhaust fan provision for kitchen and toilets will be provided. for equipments of capacity of 1500W. AC wiring will be of 4sqmm which can take up a capacity of 2 Tones. Concealed TV and Telephone points will be provided in Living and all bedrooms. The cables for TV and Telephone will be provided from a common junction point. All sanitary wares in ceramic of superior brands will be provided. All plumbing CP fittings of superior brand like JAQUAR / GROHE will be provided. All toilets shall have designer type counter washbasins. Single lever HI FLOW diverter with hot & cold mixer with over head shower will be provided in the toilets. High quality concealed flush cistern for WCs. Frosted glass partition for shower area in master bedroom toilet shall be provided. Incorporated in the market of real estate in the year 1987. Heir to an enviable legacy of momentous success and continuous progress, the company holds a predominant position of leadership in South India’s highly competitive construction industry. Jains Inseli Park situated in Padur, OMR, Chennai is one of the Ready to occupy project by the builder. The company, which has built its reputation for quality, integrity, innovation and unmatched customer service, has been involved in some of the most eminent residential developments in the cities of Chennai, Bangalore, Hyderabad, Cochin, Coimbatore & Tirupur, over the last 30 years. Headquartered in Chennai, Tamil Nadu. Ever since its inception, the company has consistently set soaring standards for others to follow. The builder has been an active player in Chennai and has developed some notable projects namely, Jains Pebble Brook located in thoraipakkam an under construction apartment project. The strength of the company has always been its pioneering efforts to create distinctive and multi-faceted residential masterpieces that elevate the lifestyle of customers through beautiful and luxurious indoor and outdoor spaces enriched with immaculately landscaped gardens and all modern-day amenities which is the hallmark of all JAINS properties. With an unparalleled drive to succeed and a relentless commitment to excellence, the company has won prestigious awards in recognition of its impressive and impeccable track record. These include the ‘Best Builder’ award from the Builders Association of India, Southern Chapter for its quality construction and the ‘Award of Excellence’ from the Institute of Economic Studies for its effective management and its contribution to the Indian Economy. Ambattur one of the busy locality which has proximity to the important places around and also one of busiest locality, Jains Adwitya Ambattur is one of the Ready to occupy projects which is filled with 1.5,2,3 BHK luxury apartments. "Creating an "ecofriendly" living environment on par with the global standards, thereby elevating the living standards of fellow beings across the nation...adapting the latest in technologies and best in standards." "We pledge to strive continuously to always exceed customer expectation, to achieve ever increasing levels of customer satisfaction, through the continuous improvement of our products and services. We are committed to the development of never ending customer relationship."